23rd March 2019 | What are the best Smartphone stabiliser cases? 19th February 2019 | What are the best USB-C microphones for Smartphone filmmaking? 14th January 2019 | What are the best portable power banks for Smartphone filmmaking? 8th December 2018 | Is the Zoom H1n the best all-round microphone for Smartphone filmmaking? 14th October 2018 | What are the 15 best microphones for Smartphone filmmaking? What are the best Smartphone stabiliser cases? What are the best USB-C microphones for Smartphone filmmaking? What are the best portable power banks for Smartphone filmmaking? Is the Zoom H1n the best all-round microphone for Smartphone filmmaking? What are the 15 best microphones for Smartphone filmmaking? What are the 9 best Smartphone video editing apps? Is Mavis the best free video camera app for iPhone? What are the 6 best video camera apps for smartphone? Do you really need 4k on a Smartphone? How do you upload a Smartphone video to the web? How do you transfer Smartphone video files to a computer? 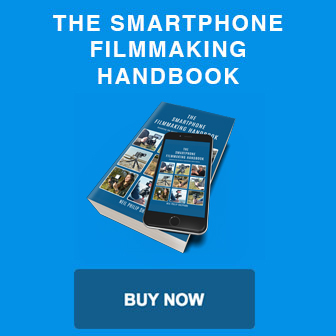 Why are Hollywood directors making movies with iPhones?